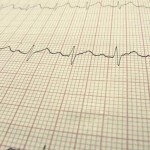 An electrocardiogram is used to monitor your heart. Each beat of your heart is triggered by an electrical impulse normally generated from special cells in the upper right chamber of your heart. An electrocardiogram – also called an ECG or EKG – records these electrical signals as they travel through your heart. We have provided a custom health search bar using Google Search to give you access to reliable resources. Simply type your search in the bar below.